It’s Friday! That means it’s time to load the Kroger Friday Freebie coupon. 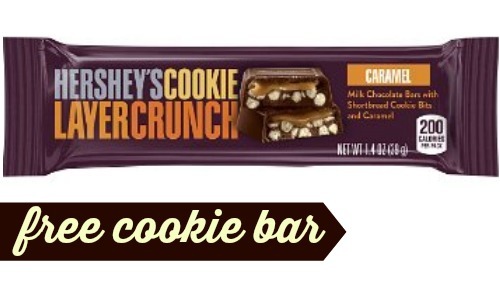 Today only, load a new E-Coupon for a FREE Hershey’s Cookie Layer Crunch Caramel Bar (1.4 oz.). To get this deal you must load the E-Coupon today 2/10, but you have until 2/26 to use it.